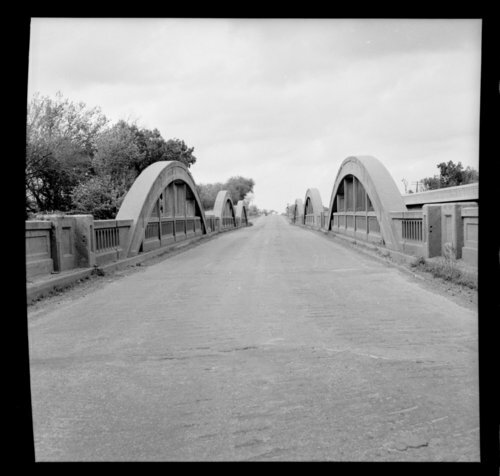 These photographs depict Marsh arch and other bridges in Allen County, Kansas. A number of images of a rainbow bridge on U.S. Hwy 169 are included. There is also a postcard of a bridge near Elsmore, Kansas, with the caption "Scene of murder of Viola Ard while she was driving a Ford Car near the Ard home 3 miles west of Elsmore, Ks."